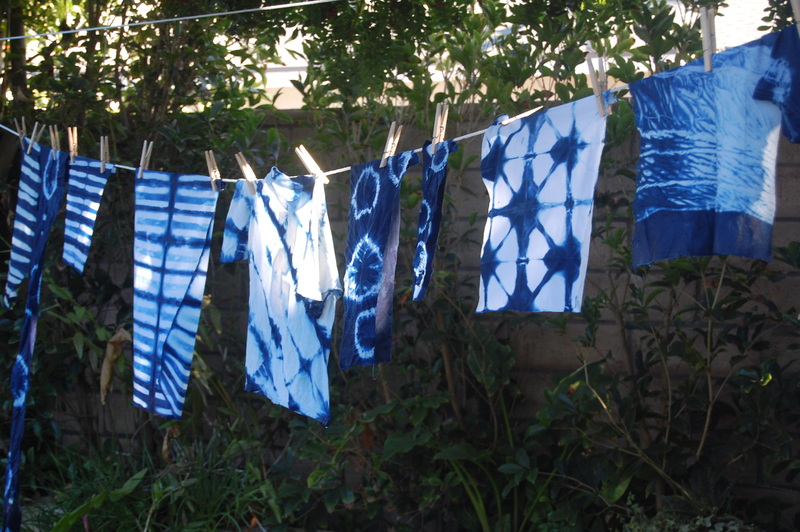 Indigo & Shibori- Yes Please! The girls and I had such a fun little daytrip to Grandma’s last week! 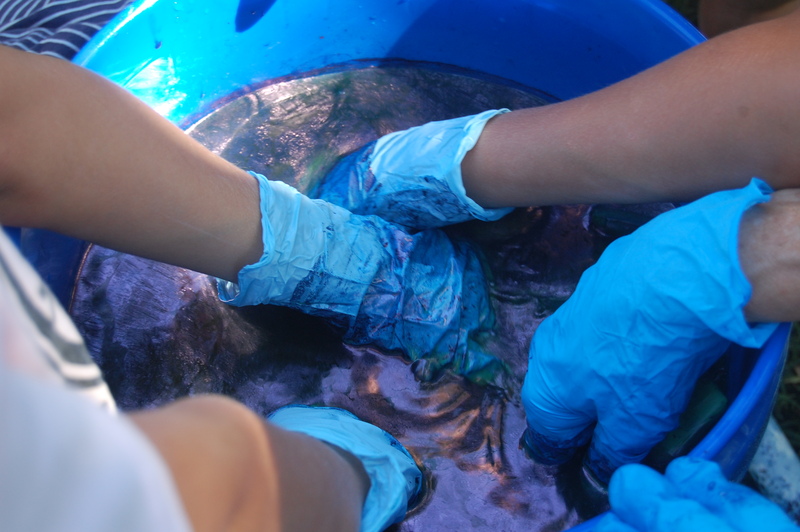 I have been “dying” to dye with indigo for years now but frankly been too involved or overwhelmed by other projects/creative endeavors, and life, that I have simply not gotten to it. 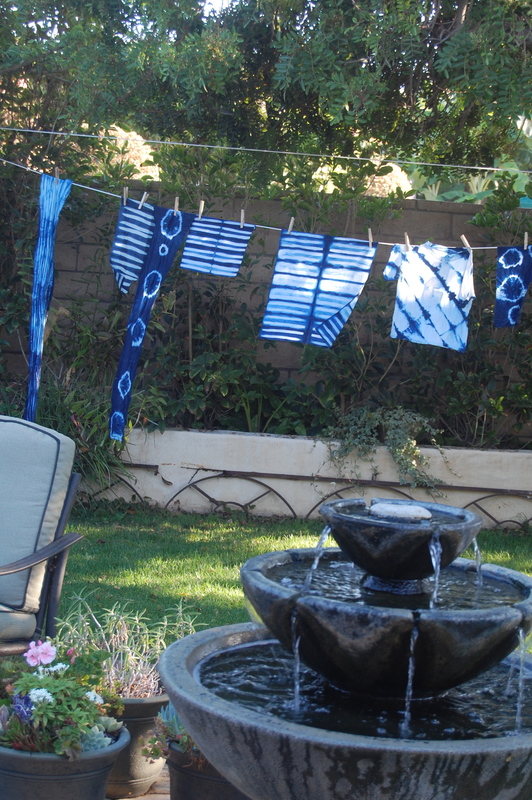 My super amazing MIL, Caroline, who is into all things creative and fun, invited us down for an indigo dying day!! Oh my!! She was offering to do all the set up, have all the supplies AND feed us lunch to boot. How could I possibly say no to that? 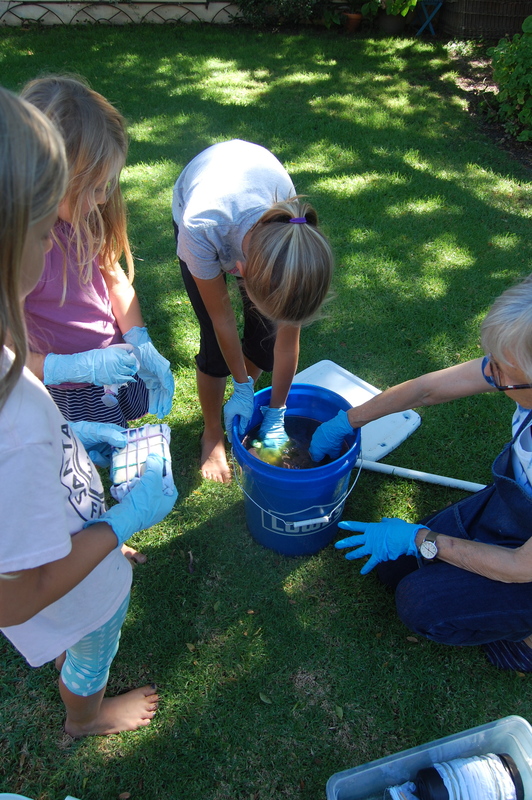 I brought as much white yardage and scraps, both cotton and linen that I could find last minute, the girls grabbed their stained white t-shirts (in hopes of making them new again) and we headed over. 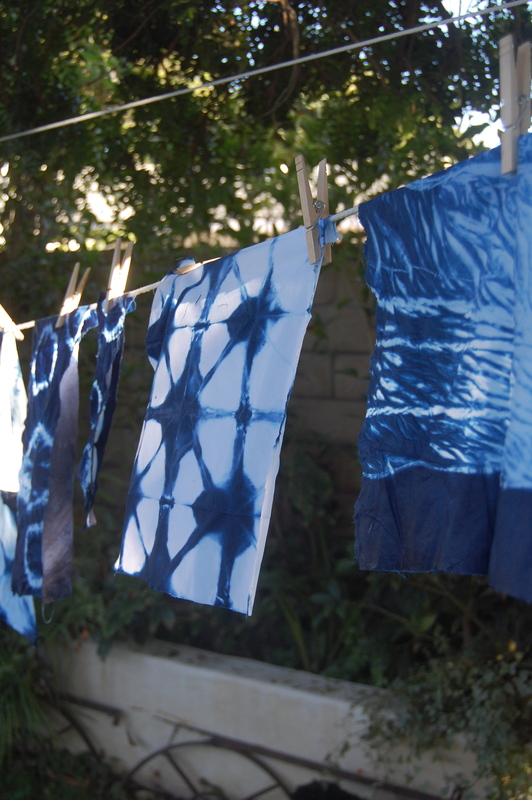 We got to try out a few really basic shibori techniques. I was hoping to do something more elaborate, but that will need a bit more preparation time. The end results were really pretty and yes, I want to learn a ton more about Shibori techniques and indigo, even more than I did before. It’s a little art mixed with a little science, mixed with little craft, not to mention another opportunity to hang out with Grandma and Grandpa! I’m looking forward to putting these pieces into some new pouches and/or pillow covers for my shop. The next dying session will be at my house- can’t wait!! So lovely! Count us in at your house!!! That looks like fun! 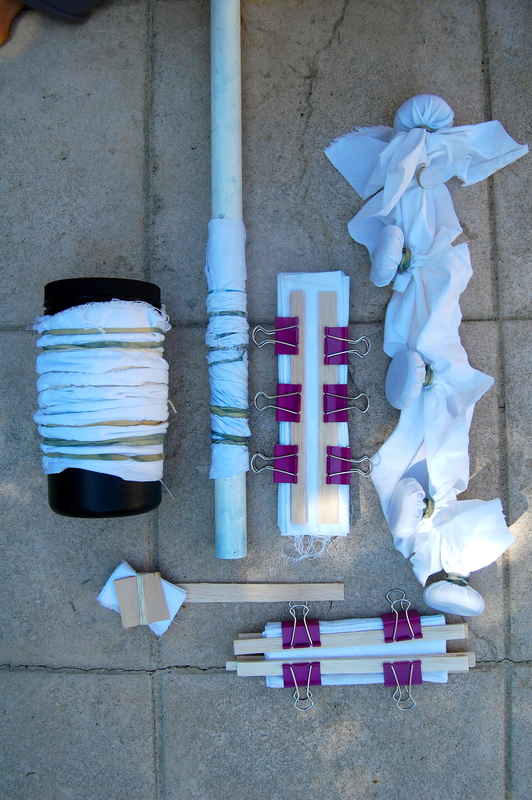 I can’t wait to see what you make with the fabric! Oh how beautiful these turned out. Fabulous!